Dynamics 365 for Finance and Operations (formerly Dynamics AX) powered by Microsoft, makes your companies business processes more intuitive and flexible. While Microsoft is more innovative everyday, we rely on partners to pick up where Microsoft may leave off. Our Independent Software Vendor’s (ISV’s) can add more value to AX through add on solutions such as Asset Management, CAD, Data Protection, EDI, Manufacturing Maintenance, and Retail Solutions. Our ISV partners live up to the highest standards for solutions. . .your standards. Pacejet is an integrated shipping platform for Dynamics 365 for Finance and Operations and Dynamics AX 2012. Clients First has partnered with Pacejet to develop this integration. 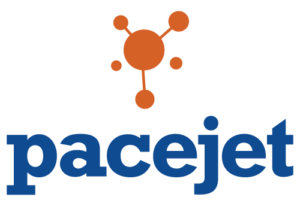 Visit the Pacejet webpage on our site. Please reach out to your Dynamics Partner, Pacejet or contact us for more information. Avalara offers a wide range of automated, end-to-end tax calculation and compliance solutions. It’s also versatile in that it can be used in both on-premise and cloud platforms . Avalara’s tax automation software is a fast, reliable way to accurately calculate, validate, and remit sales and use tax. Avalara AvaTax helps business save valuable time by providing them with the appropriate amount of sales tax for every transaction. It does it carefully by looking over thousands upon thousands of sales tax laws and jurisdictions based on the geographical location of the transaction. Avalara CertCapture make sure you never lose your tax documentation again. Not only does it manage your tax documents it can also validate and update exemption certificates from with in the software, thus minimizing audit exposure. Avalara Returns offers guaranteed on-time sales tax return filing and remission. With Avalara Returns you can even cancel multiple expenses in one ACH transfer. It also helps avoid audits by responding as soon as a tax notice is received. QBuild Software integrates your CAD software with Dynamics 365 for Finance and Operations, formerly Dynamics AX. They take the time to understand the way you work and deliver a solution that solves your unique problems. Automate processes and get accurate, up-to-date information – Every time a document is updated in Dynamics AX or the CAD system, CADLink analyzes, compares and synchronizes the information. Create and modify models with just a few clicks – With CADLink, your staff can easily locate work or production orders in Dynamics 365/AX and automatically retrieve the information required to build or modify models directly from the CAD system. Standardize item description – By integrating CADLink with your CAD system and Microsoft Dynamics products, your staff will be able to use the same item master data and descriptions across all projects. This will eliminate redundant data entry, errors and rework. With Vantage Point EDI, Data Masons handles all EDI compliance requirements. Labeling, maps and ongoing compliance changes are delivered direct to your company with no hassles. Our trading partner “kits” are delivered with everything you need to begin transacting with your business partners immediately. This means you can focus on your business – not on EDI compliance. Whether you need hundreds or thousands of orders processed a day, Vantage Point EDI for Dynamics 365/AX satisfies customers with unparalleled scalability. Unlike other solutions, a Vantage Point EDI implementation is a setup process rather than an expensive, risk-filled project. Once implemented, EDI integration for Dynamics 365 for Finance and Operations (formerly AX ) is completed with the least number of steps and the fewest screens possible. The result is optimized performance, less work, and fewer errors. Global Data Vault is a recommended add on to Dynamics 365/AX in that they provide Cloud based solutions for Disaster Recovery, Backup and Archiving for servers, PCs and Macs. Global Data Vault provides a fully managed service that stands ready when you are in need. Global Data Vault provides protection status data through a live portal. This allows you to rest assured your business is always protected. With the ability to integrate into Dynamics 365 for Finance and Operations (formerly AX) with so many other systems and tools, data management quickly becomes a problem. Jet Enterprise addresses the need for Dynamics users to feed all of their data sources into a highly adaptive Business Intelligence solution – one that provides your information in the format that you need. Business Intelligence is an ongoing effort – and your business may change. Client’s First doesn’t want our users to have to choose between accuracy or adaptability. That is why we suggest using Jet Report’s unique Data Warehouse automation tool that provides an easy way to customize or build new cubes for your unique needs. E-commerce for Dynamics 365 for Finance and Operations (formerly AX) doesn’t need to be complex and lengthen projects, including third party CMS or collaboration systems. Sana delivers an integrated Dynamics webshop out-of-the-box that can be implemented in a fixed budget of 7 days. Sana offers a professional Dynamics e-commerce webshop that is fully customizable to any wish. Sana is a Gold Microsoft Partner and our webshop is Certified for Microsoft Dynamics (CfMD) for Dynamics. No matter how you look at it, it’s a better shopping experience with Sana’s Dynamics e-commerce solution.